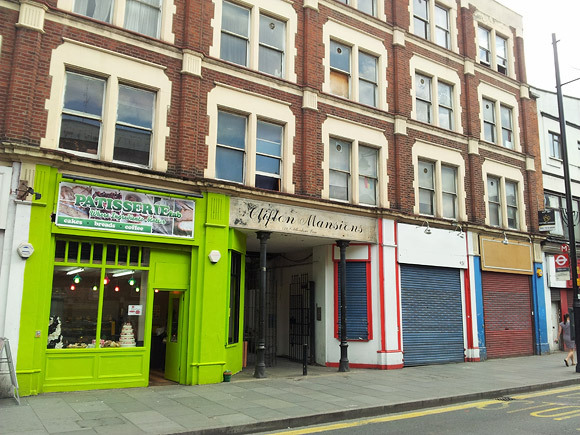 There is growing concern about the future of one of Brixton’s longest housing co-ops as the council appear to be conspiring to evict residents from Carlton Mansions on Coldharbour Lane. 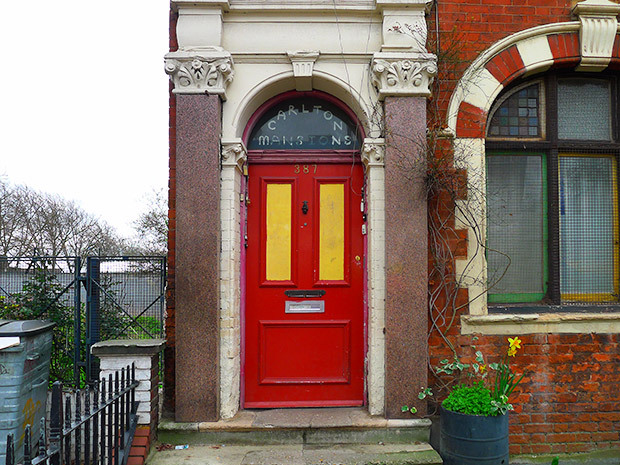 Run by the Carlton Mansions Housing Co-operative, the four-storey Victorian building has existed as a “Short Life” Housing co-op since the late Seventies, and is easily recognised by the iconic ‘Nuclear Dawn‘ CND mural on the side of the building. The detached block stands right in the middle of major redevelopment plans which would see the complete rebuilding of Somerleyton Road and the construction of a new theatre adjacent to the mansion block. 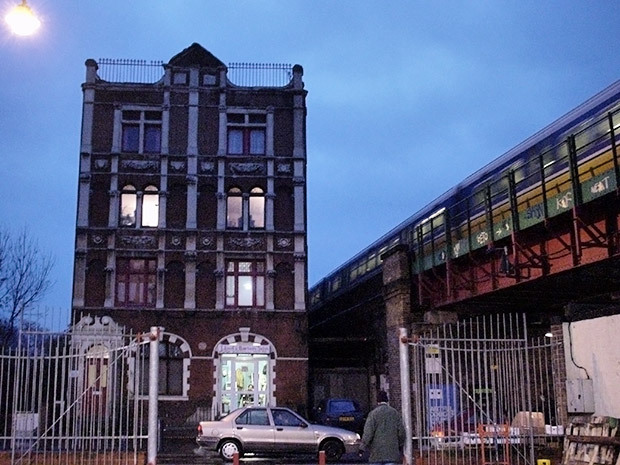 Although the council has already publicly pledged to help sustain “resilient communities,” it seems that the prime location of Carlton Mansions is fuelling what seems a hasty desire to kick out its occupants. Key to this is the council’s fire assessment – something that the residents say is a “strangely inaccurate assessment inappropriate to the building” – and they say this can be backed up by independent advice they’ve received. Seeing as the council have been happy to leave the building alone for so many years, some suspect that they’re simply looking for a handy excuse to evict its occupants swiftly under the pretence of being concerned about their welfare. It also seems a little odd that a self proclaimed co-operative council should appear so keen to evict the kind of co-operative housing that embodies the very values they’re trying to embrace. If they do kick out the residents, will they rehouse them? And where? With a seemingly unstoppable landgrab by developers snatching up much of what gave Brixton its unique character, I’m not entirely convinced that the best interests of local people are being put first here. 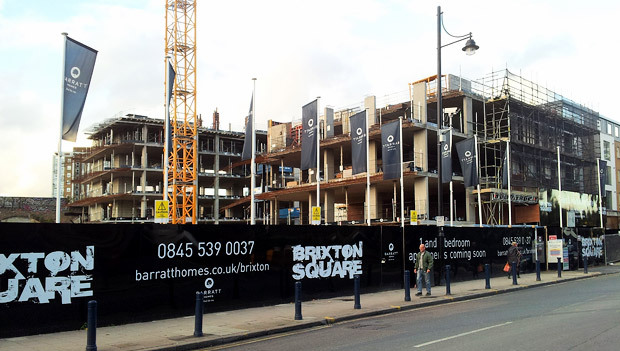 After seeing how Lambeth acquiesced to Barratts Homes‘ wriggling over their affordable housing commitments at the nearby Brixton Square development, this is looking like another council fudge. Perhaps they can come out and make a statement and explain exactly what is going on at Carlton Mansions and explain how their plans fit in with their notion of Lambeth being a cooperative council. I’m happy to see Brixton changing and money being invested, but long-term residents should be protected – as should those ‘resilient communities’ that Lambeth likes to bang on about. What’s happening at Carlton Mansions may well prove a crucial test of their real commitment to being a true co-operative council. I hope they honour their commitments. Discuss this on urban75 bulletin boards and read some background on this thread: Council plan to redevelop Somerleyton Road. 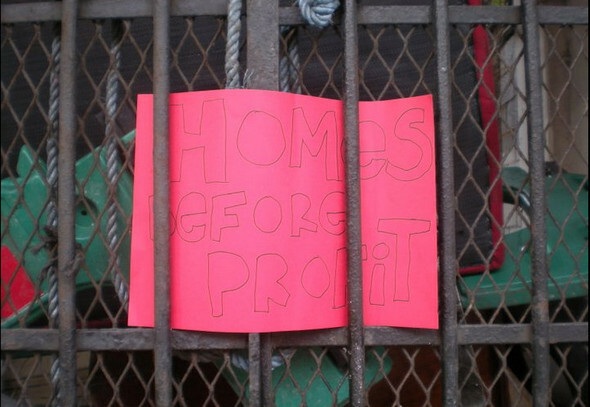 The SLP also has a rather depressing piece about Lambeth’s flogging off of short-life housing. 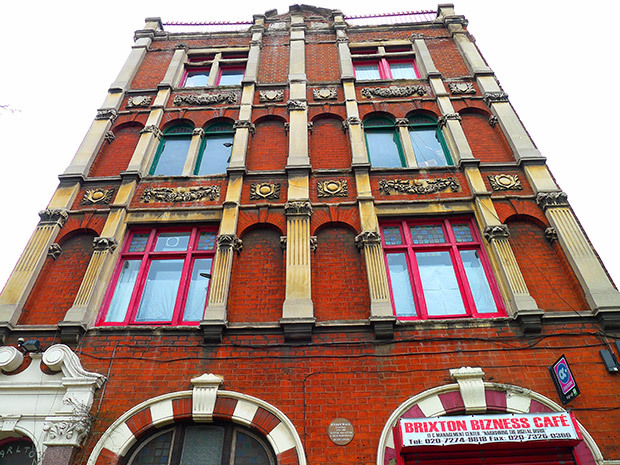 The most excellent Brixton Bugle newspaper (which will be out tomorrow morning) will be running a full feature on Carlton Mansions. See where you can pick one up on their BrixtonBlog website. This part of Coldharbour Lane is home to a rich history of ‘short-life’ and squatter settlements, densely populated by Brixton’s artistic community. 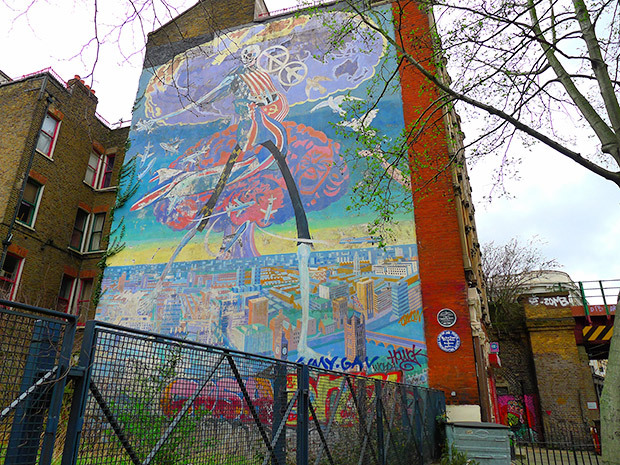 Carlton Mansions is a lasting legacy of Brixton’s shortlife settlement, displaying a large exterior mural as homage to the building’s artistic and creative community. 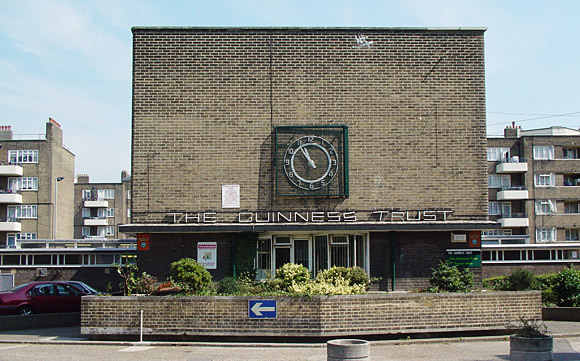 Adjacent sites were also the initial homes of movements such as Cooltan Arts and Reclaim the Streets and Southwyck House is well known for it’s role in the area’s squatter and short-life movements. 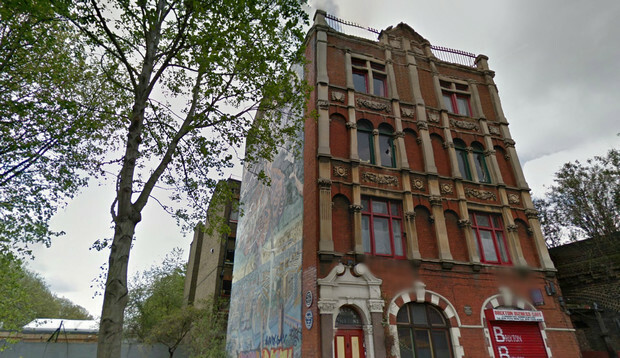 Brixton Carlton Mansions housing co-op faces court meeting – please give them your help and support – urgent! 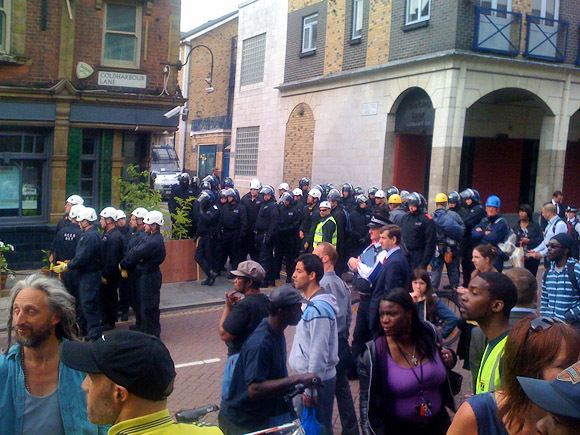 Lambeth council defends its decision to evict residents. Brilliant article! Loving the photos as well- Thanks, sandra. 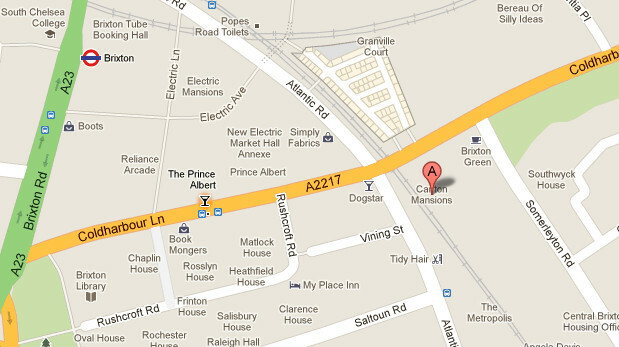 Hoping it’s going to be a good outcome for the residents of carlton Masions. looking out for more news about this matter. Good Luck.